We’re always spinning-on about our products, but here’s a story about a couple who really do get our drift! Of all motorsports, Drifting is the only competition where ‘artistic impression’ counts towards the end result. Consequently, it’s imperative that the driver stays in absolute control and, to do that when travelling sideways at high speed, means they have to be fully aware of what the car is doing at all times. To achieve this level of command, feel and response is everything and consequently, suspension components have to be operating efficiently and effectively. A few years ago, Total Nissan Magazine ran a story that featured not just one Drift car fitted with SuperPro suspension, but two. Not only that, the pair of R33 Skylines were identical and owned by a couple whose life clearly revolved around their chosen sport and their Nissans: Cole Pemberton and Emma Louise Shillingford. As well as a set of Meister R monotube coil-overs and JapSpeed front and rear strut braces, he also fitted SuperPro bushes to every conceivable mounting point and suspension coupling that he could, going onto say that combined, they gave his car the ‘perfect set-up”. But the story didn’t end there. 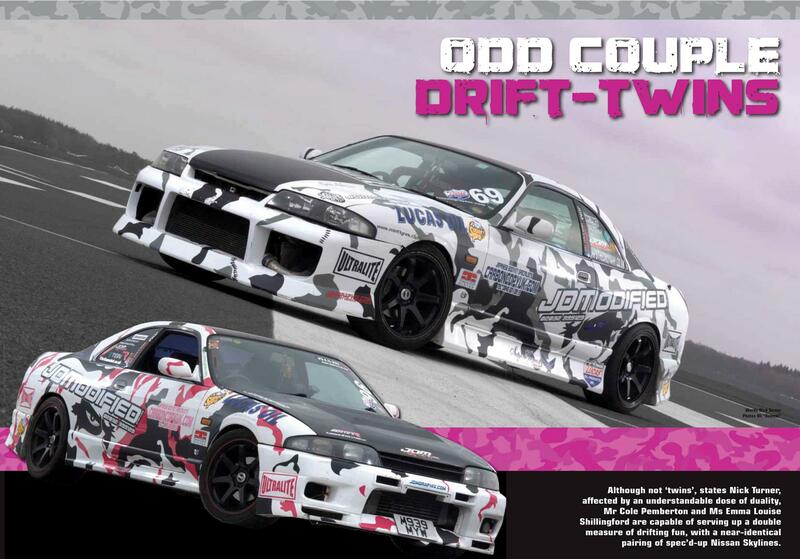 After having to drive his car when Cole went into hospital, Emma caught the Drifting bug and shortly afterwards, she too acquired a Skyline R33 and set about preparing it in similar fashion to that of her partner’s. They now have two Nissans that share many things in common: from the visibly matching paint schemes on the outside, to the installation of the SuperPro suspension parts underneath. Perhaps unsurprisingly, it’s Emma’s car that is distinguishable by the addition of its pink graphics, but it's instantly recognisable blue suspension bushes are exactly the same as her partner’s SuperPro-equipped Nissan.